Thermapaint Liquid Membrane is a revolutionary hybrid damp proof thermal paint. It combines advanced latex polymer technology with thermal insulating properties to create an outstanding damp proofing product. When applied to masonry, this liquid damp proof membrane forms a highly effective liquid membrane barrier. 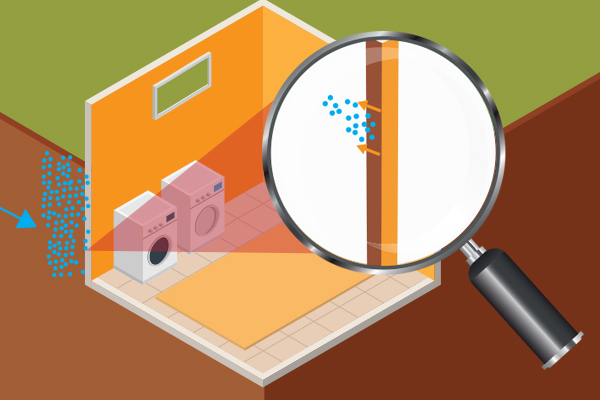 It offers protection against penetrating damp even where the external wall may be partially or even totally below ground. In addition to this, the insulating effect raises the internal surface temperature of the wall. Thus, reducing or eliminating the incidence of condensation. 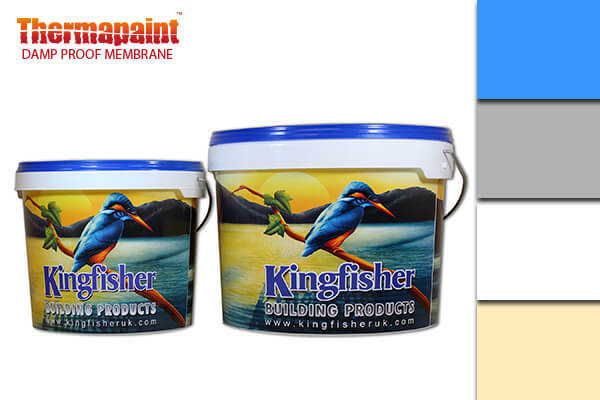 The Kingfisher liquid damp proof membrane can be applied by brush or roller, offering a high-performance finish. This outstanding product is ready to use immediately and creates a damp-proof membrane that is reliable and durable. We have a wealth of experience developing damp proof membranes. This means so you can rest assured of the quality of our products. Note: Before applying to brickwork etc, it is essential to apply Kingfisher Anti Sulphate solution to neutralise groundwater salts.